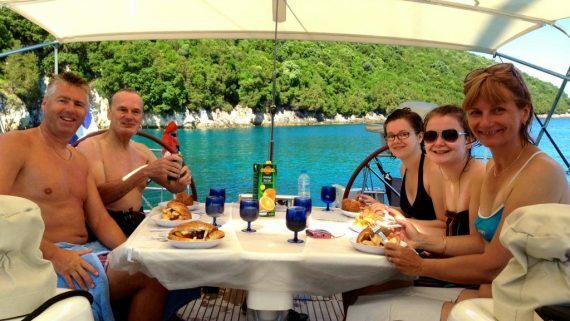 Corfu Sailing Holidays aboard our 50ft Yacht Icarus - Skippered Sailing Holidays & Day Charters. 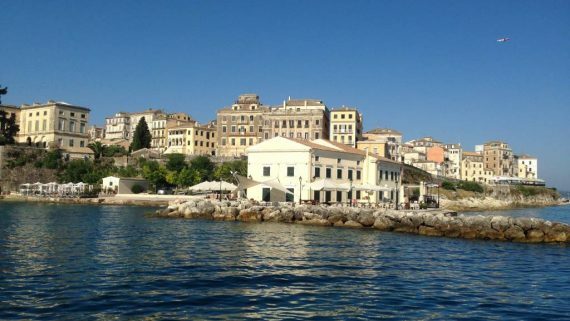 Sailing Holidays, Special Occasions, Birthdays, Anniversaries, Honeymoon Charters from Corfu around the Greek Ionian Islands. Celebration Charters offer Sailing Holidays from Corfu, Greece around the Ionian Islands, with a Professional Qualified Skipper & Crew/Hostess. We have been providing our unique inclusive packages for over 8 years which includes breakfast, lunch and refreshments and much more. Dreamed of sailing on a private yacht in the sun, why not book an exclusive day out aboard our luxury Beneteau Océanis 50 with Skipper and Hostess, for either two persons or for a party of up to eight. 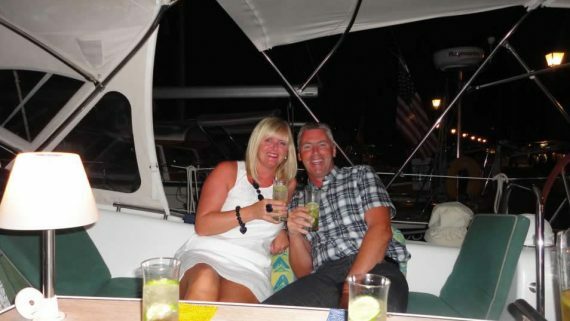 Our Day Charters allow you to sail in comfort and style and make your dream a reality. A Special Yacht, A Special Place, For Special Occasions. Let your imagination and us take you to new places, new adventures – try something different – think outside the usual “special” holiday parameters. We can make your Celebration unforgettable. The sailing area stretches from Corfu, where your holiday will begin and end, visiting harbours on the Greek mainland and the major islands of Paxos, Lefkas, Ithaca and Kefalonia, depending on the length of your holiday. 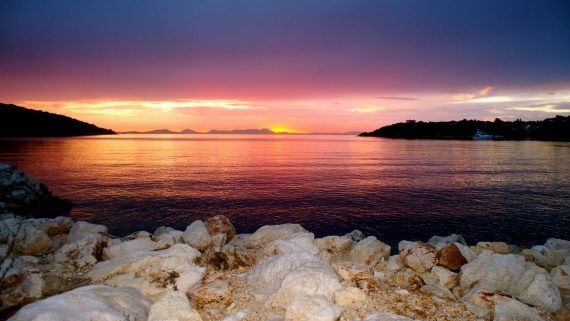 This area is well known for the perfect sailing holiday, beautiful bays and turquoise waters. 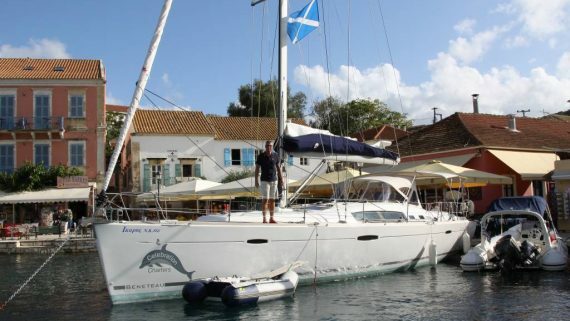 Icarus, is our Beneteau Oceanis 50ft Sailing Yacht. We have 3 Cabins, with Large Forecabin with King-Size bed and en-suite bathroom and 2 further King-Size Aft Cabins with a separate Bathroom. Below Deck the Yacht is spacious, with excellent Saloon/Galley area and on-deck you will enjoy the Cockpit area with full sun Bimini, sun lovers have large Sunbathing areas with luxury cushions. Robert is your Skipper. He is an RYA Qualified Skipper who won the prestigious Yachtmaster of the Year award presented by HRH Princess Anne in 2008. Veronica, his partner is your Hostess and Crew Member. 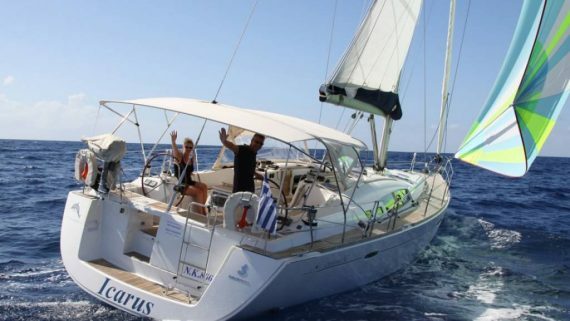 Our aim is to ensure you have an unforgettable time aboard Icarus and a Sailing Holiday to remember.